Tony a2z - Today, cont. 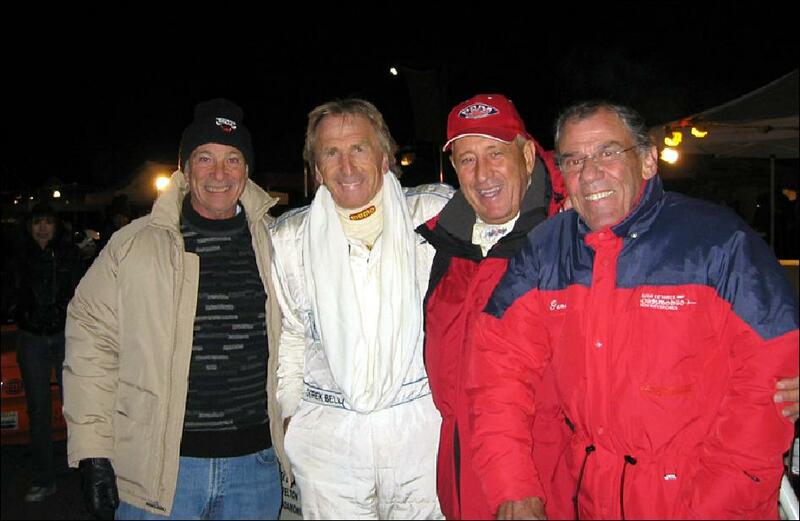 Mazda Team drivers: Buzz Marcus, Derek Bell, Tony, Gene Felton at Nov 4, 2006 VIR 13 hour Seniors For Survivors cancer benefit race. The All Star senior team helped raise more than $30,000 for the American Cancer Society. Buzz Marcus, 66 has won more than 50 races in his 45-year career. A three-time SCCA Champion, other notable wins include the first IMSA 6-hour Enduro at Mid-Ohio and the Vineland 4-hour in a Lola T-70. Marcus has also competed at the Daytona 24-Hours and Sebring 12-Hours and is currently an instructor for Justin Bell Blue Planet Events. Derek Bell, 65, is a five-time 24 Hours of Le Mans winner, a two-time World Sports Car Champion, Ferrari Formula 1 driver, well-known TV sports personality and world spokesperson for Bentley Automobiles. 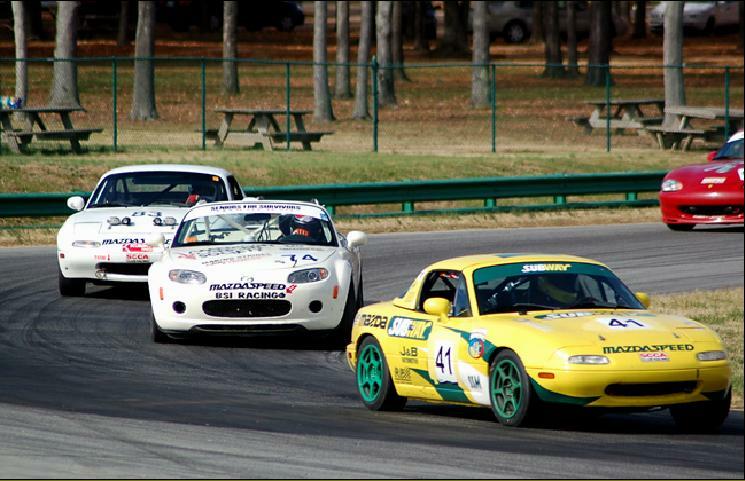 Tony Adamowicz, 65, has competed in all forms of Sports Car racing including driving for Ferrari at Le Mans, Daytona, and Sebring, competing in the Can-Am, Trans-Am series and driving at Indianapolis-500. He's the 1968 Trans-Am Champion and 1969 Formula 5000 Champion. 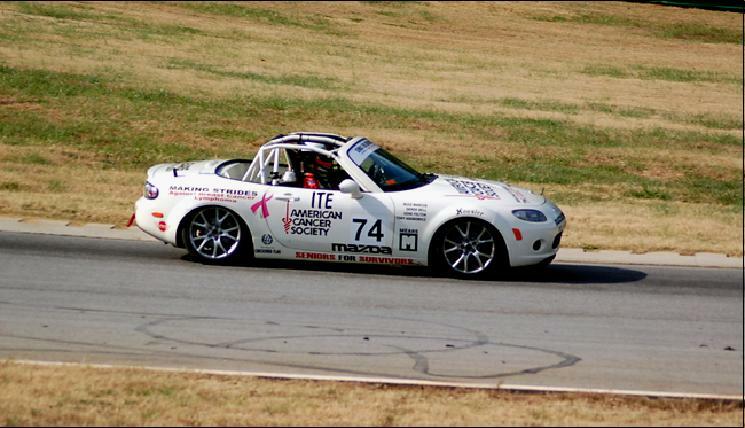 Gene Felton, 70, is a decorated IMSA and SCCA driver with 45 IMSA wins, four IMSA Championships, and five SCCA Pro wins. Felton has also won the Dayton 24-Hours, Sebring 12-Hours and Manufacturers Championships for Buick and Chevrolet. 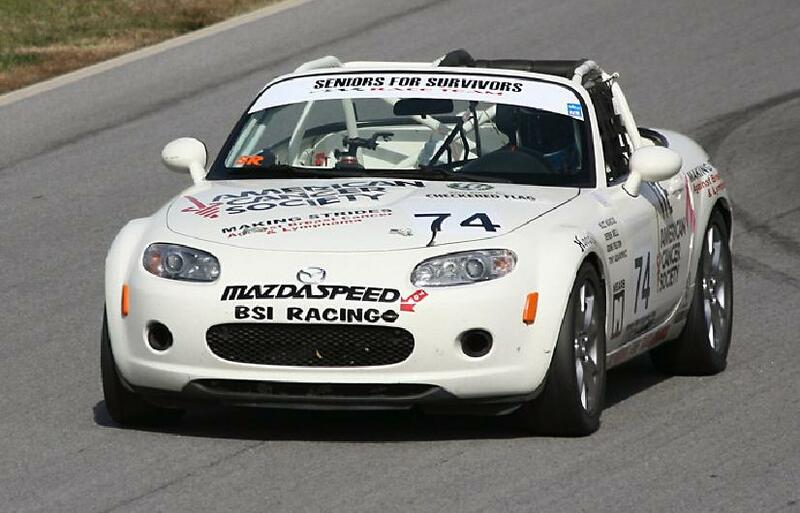 The Seniors for Survivors team proved that age, experience and a well-prepared car can overcome an early setback in the most heated of contests. Despite an early fuel problem causing the team to lose 30 minutes on the track and in the pits, our group of retirement aged all-star drivers - came back strong fighting a field of 81 cars to finish fifth in class and 17th overall. Fans and even team members themselves were amazed at how the car could pass so many faster cars. Paul Mears, Jr. of Mears Motorcoach of Orlando, Florida, was the major sponsor of the team. Other sponsors included Marcus, Hoosier Tires, Lavagraphics.com and Checkered Flag Motors. The fundraising total topped $30,000 for Breast Cancer and Lymphoma Research when the team raised over $5,000 at the track through lap pledges and Mazda North America Operations donated $2,500.